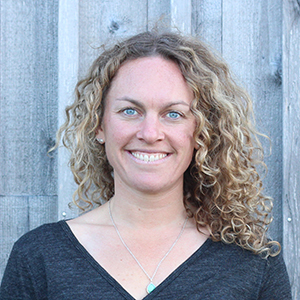 Kate Greenberg is the Western Program Director for the National Young Farmers Coalition (NYFC), and has been with NYFC since 2013. Kate organizes young farmers and ranchers across the West, advocates for supportive policy, and promotes land, water, and climate stewardship. Kate graduated from Whitman College in 2009 with a degree in Environmental Studies-Humanities. Prior to joining NYFC, Kate farmed around the West; canoe guided in her home state of Minnesota; and managed Western environmental policy field programs through Whitman College. She later moved to northern Mexico to work on restoration of the Colorado River Delta in the years leading up to the historic bilateral pulse flow agreement. In 2016, Kate was honored by Western Resource Advocates with the Emerging Leader in Conservation Award. She is a producer of the NYFC short films Resilient and Conservation Generation. In addition to her work, Kate co-founded a network called Wild Streak, which promotes all-female backcountry adventures. She currently serves as the chair of the board for the Santa Fe-based Quivira Coalition, a conservation-ranching organization fostering resilience at the radical center, and gets out to irrigate whenever possible. Kate lives in Durango, CO.